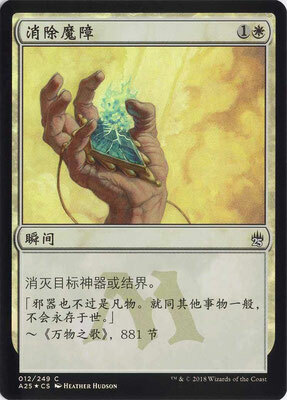 Masters 25 was released on March 16, 2018, and contained 249 reprints from each black bordered set released since Alpha. Like Iconic Masters, it was part of the 25th anniversary celebration. 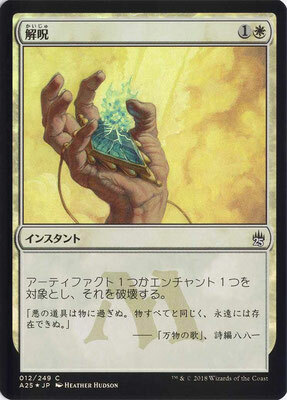 The text boxes feature a watermark, representing the original set's expansion symbol. Cards from Alpha, like Disenchant, show an M instead, as expansion symbols hadn't been introduced yet at that time.